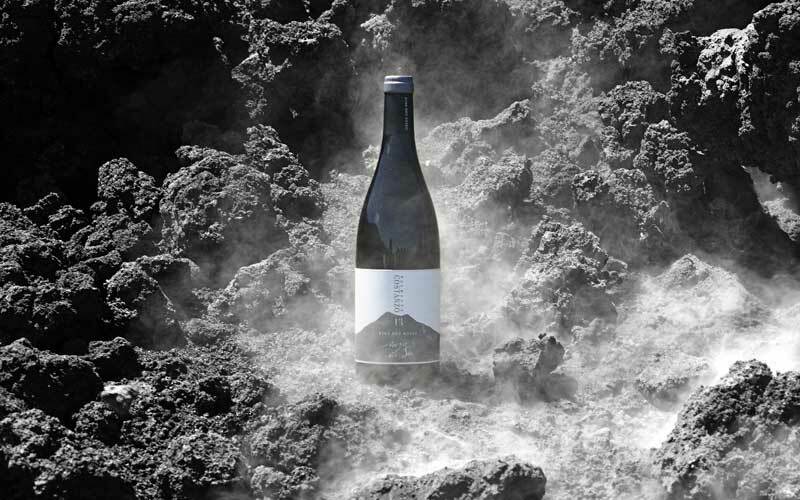 “In the project for Palmento Costanzo on Etna in Sicily we had to interpret at best the quality, the territoir and origin through an unique label. 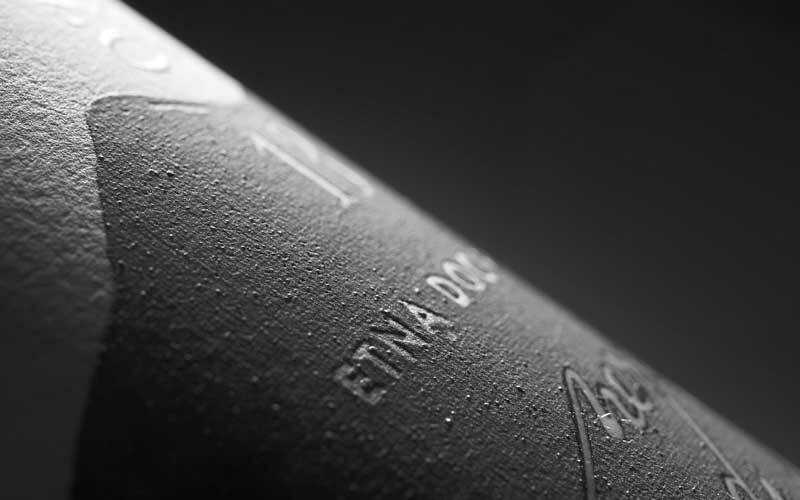 We we have been able to produce a material pigment extracted from Etna’s lava powder, printable in typography. 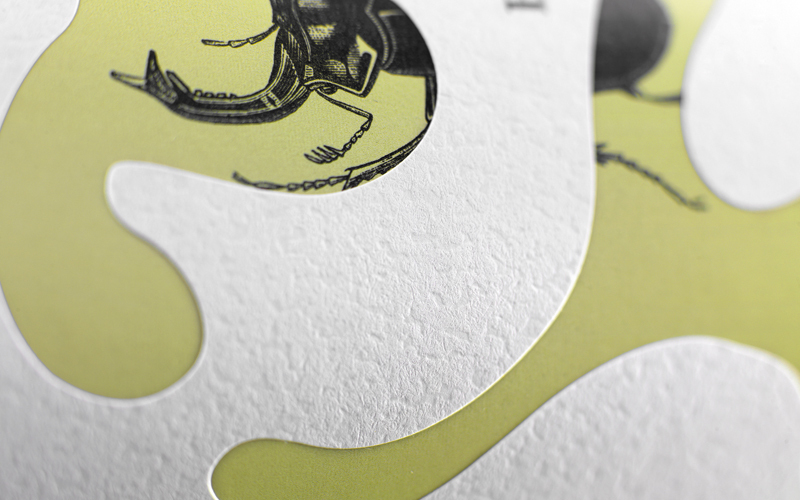 The result is extraordinary, different senses are touched: sight, feel and smell. 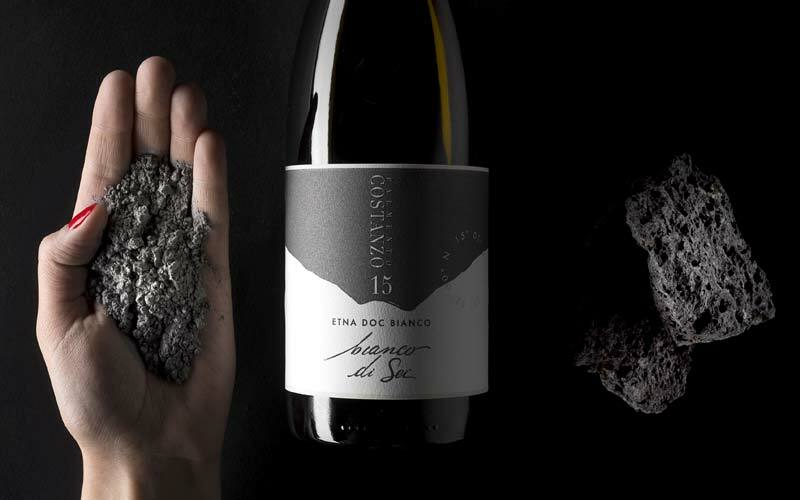 The consumer is attracted to touch the label and to become curious about the natural luminescence of the materials present in the pigment, to the touch it is rough and consistent, while the nose breathes the Etna, as there is only Etna in the packaging! 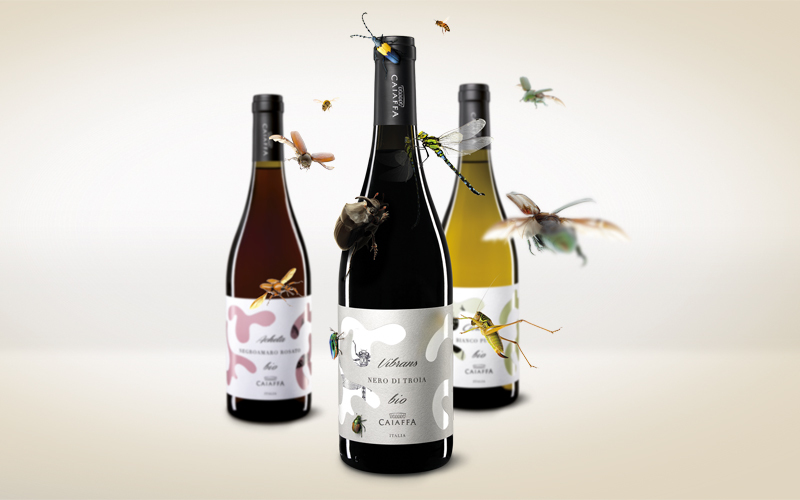 “This project, realized for Caiaffa Vini, is a tribute to the nature and to the world of insects, precious collaborators in the synergistic agriculture. 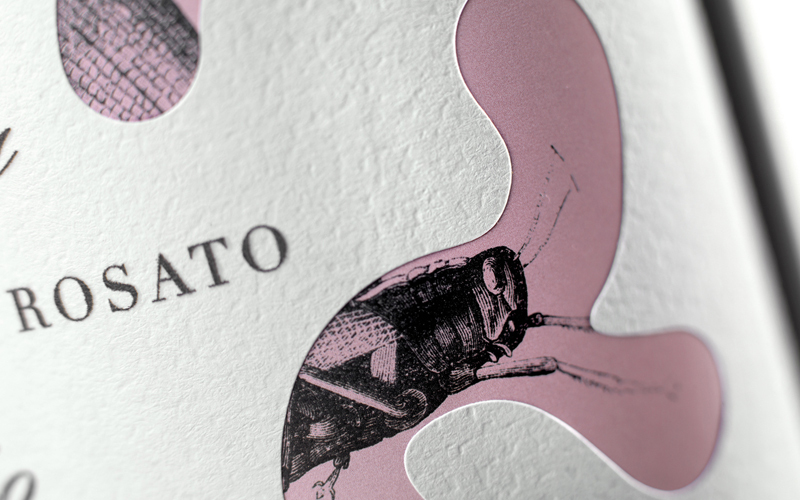 This kind of agricolture, without pesticides and insecticides, gives importance to the interaction between micro and macro cosmo.